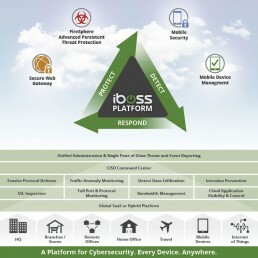 The iboss Secure Web Gateway Platform is backed by over 80 security patents and advanced features for unparalleled protection against advanced threats, with the scalability, resilience and efficiency expected from a cloud solution. iboss cloud’s unique containerization technology ensures your organization’s data is secured and encrypted and never overlaps with another organization’s records, providing single-tenant security in a multitenant solution. iboss Cloud can be customized to fit an organization’s requirements, with no backhauling of data, no hardware footprint, and the rapid elasticity that ensures optimal scalability and performance. Web security has evolved beyond traditional URL filtering. The rapid adoption of cloud computing and mobile enablement have resulted in an ever-expanding borderless network, impacting organizations in every market sector. Securing today’s distributed enterprises is challenging, and traditional appliance-based solutions are no longer powerful or flexible enough to safeguard corporate data across a wide range of remote locations and mobile users. The dependence on cloud-based SaaS applications to drive business requires cloud cybersecurity that can meet these challenges. The iboss Secure Web Gateway Platform provides next-gen features that include granular management of social media, Google services, and applications, SSL traffic inspection, and comprehensive user-based reporting, centrally managed from a responsive interface. iboss innovative, advanced malware and APT defense ensure unrivaled protection from today’s most sophisticated attacks. 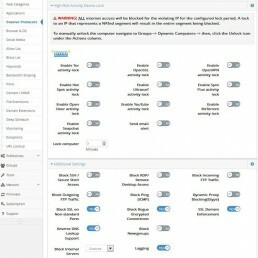 iboss AV scanning gets malware feeds from a variety of proprietary and best-of-breed sources, blended C&C feeds and more. Within minutes these malware feeds are synchronized in the cloud and delivered to the iboss Secure Web Gateway Platform database, whether on-premises or in the cloud. On the other hand, solely relying on AV scanners or signature-based monitoring to prevent malware is no longer effective. Today’s threats are polymorphic and capable of continually morphing to evade signature-based detection. 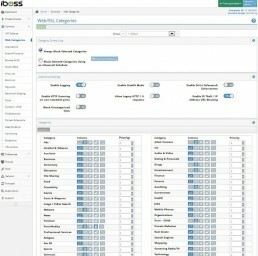 The iboss Secure Web GatewayPlatform includes a behavior-based approach to malware detection, which doesn’t rely on signatures to stop advanced threats. Another problem is the advanced malware integrating with the TOR network to circumvent security, representing a pervasive, new class of threat that standard solutions can’t see. The method of monitoring good-behaving protocols is not enough and can lead to infections entering the network faster and staying undetected longer. iboss monitors the bad-behaving protocols to pinpoint the infection quickly, issue alerts and auto-contain data to stop loss. 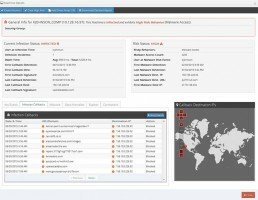 The iboss Secure Web Gateway Platform’s exclusive network anomaly detection exposes the most evasive signatureless malware, even after it’s made it past your sandbox. Once a problem is pinpointed, you immediately receive real-time email alerts and your data is contained, before it is hijacked. iboss technology takes only minutes to deploy and provides 24/7 peace of mind, without the requirement of reconfiguring the entire network. The iboss Secure Web Gateway Platform leverages visibility across all TCP and UDP ports to scan for evasive threats on hidden ports and protocols include those using DNS, IP, SSH, IMAP, POP and many others. 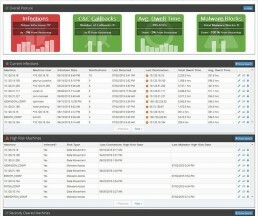 It also scans for command and control callbacks and thwarts attacks such as network probes and port scans. The FICO Cyber Score module integrated to iboss, leverages FICO’s propriety behavioral analytics and consortium approach with iboss’ node-based cloud security to reduce dwell time and minimize data loss. FICO’s analytics provide a cyber risk score, which significantly improves productivity because it alerts analyst of a potential threat and scores the severity of the risk in real time. 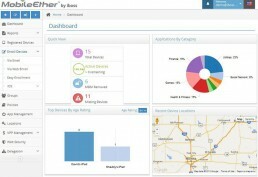 Scores are delivered via the iboss Incident Response Center, empowering IT teams to focus on what matters most by revealing the users, devices and servers that pose the highest risk. The number of mobile devices, remote locations and roaming users accessing your network has created new sources of advanced threats for which you must be prepared. The iboss Secure Web Gateway Platform employs network-wide scanning to pinpoint high-risk machines and users and quarantine them to stop the spread of infection, alert you and enable remediation. iboss Threat Isolator puts data protection tools inside the network perimeter for comprehensive protection against exploits such as CryptoLocker or C&C callbacks. 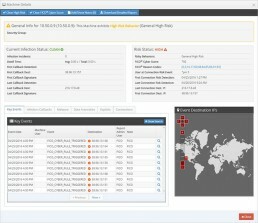 It dynamically isolates and contains infections by blocking internal communications between computers on your network. You receive alerts, when a problem is identified, giving you time to remediate and avoid further infection. The iboss Secure Web Gateway Platform automatically consolidates and prioritizes events, translating them into actionable incidents. This not only shortens investigative response time, it reduces data loss when breaches occur. C&C callback monitoring, continuous network anomaly monitoring and behavioral analysis provide an unmatched approach that exposes malware in real-time. Whether searching through logs spanning one day or five years, across one gigabyte or multiple petabytes, the iboss Secure Web Gateway Platform delivers results immediately, without the protracted wait times of competitive solutions. This Google-like capability is enabled by iboss’ exclusive dynamic indexing, which ensures the data needed is delivered instantly. 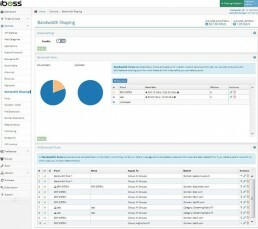 The iboss Secure Web Gateway Platform includes a Threat and Event Console reporting that is integrated across all features and is easy to use, with a highly-responsive, intuitive interface, guided interactive wizards, and customizable reporting templates. Within seconds, go from organization-wide visibility, to a 360-degree view of each network user, including Web activity, application use, bandwidth consumption, data loss risks and more. The exponential growth of mobile in the workplace has spawned a wide-range of devices, platforms and applications, creating challenges to securing the borderless network. Finding solutions that can extend cybersecurity across all mobile users while ensuring protection of the devices themselves is critical. iboss is the only Web security platform that secures both Web access and mobile devices, eliminating the need to procure a third party solution. iboss’ patented technology extends this comprehensive protection because it’s the only cybersecurity solution that enables visibility and control over what’s on the device, as well as what the device is accessing on the Web. iboss award-winning MobileEther MDM solution can help with the pushing of apps, wiping of devices if lost or stolen, and enforcing device-level restrictions. MobileEther MDM alliances with technology partners such as Apple and Samsung is making the management of devices a simple task. Social media controls enable flexible social media access based on directory group membership with policies per user including restrictions such as ‘No Posting’, ‘Games’ or ‘Photo Uploads’ to social media sites for increased Internet security.